It’s Day 5 of #choctoberfest! Start your morning off right with this delicious smoothie! This protein packed smoothie has the perfect amount of sweetness ( not that sweet at all ) I try to stay away from sweets in the morning. The banana sweetens it naturally. 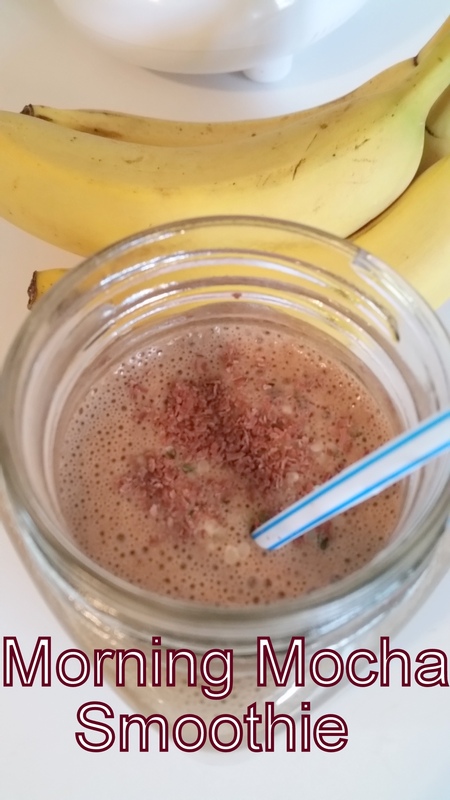 After a post workout, my body is so hungry, so this Hemp Protein Smoothie is perfect!! No sugar! A little bit of coffee and a big hug from Just Hemp Foods! This pure plant based powder is gluten, soy and lactose free, but rich in 9 vitamins and minerals. Hulled Hemp Seed. Use them as garnishes for smoothies, salads and fruits. Eat them straight out of the bag! Perfect for sauces, dips, marinades, yogurts, power drinks and delicious smoothies. Blend seeds into baking of breads, cookies or muffins. I am rewarding myself after a post work out of Pilates class with a delicious and nutritious Good Morning Mocha Smoothie! Coffee and chocolate for breakfast?? Oh YES! I love my smoothie with a bit of ice, but you make it the way you like it! Prefer a Hot Mocha Drink? Gently heat in the microwave, do not boil, this will lose the nutritional value of the hemp. Why is Hemp Great for you? 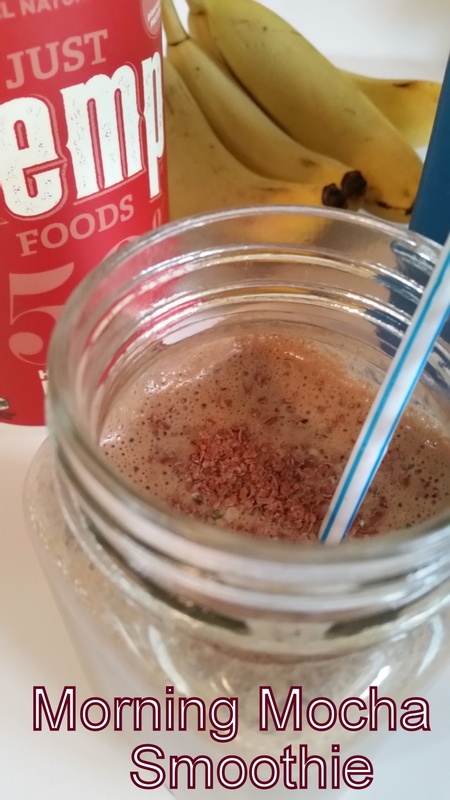 A delicious Protein Packed Smoothie that is healthy for you! Containing banana, peanut butter, hemp powder, hemp seed, chocolate and coffee! Blend all ingredients in a blender thoroughly. Pour into 2 glasses, sprinkle Just Hemp Protein Toppers and Chocolate Flakes! Serve immediately! Sounds like a yummy way to start the day! Perfect to grab and take in the car on those busy mornings.